My love of weather began in 1979, when I was five years old and living in New Jersey. Hurricane David tracked up the Atlantic coast, and in my neighborhood, trees were blown down and streets were flooded. I was enthralled and amazed. After that, I watched the local weather forecast religiously, and would look at the clouds and try to predict if it would rain. I became a race fan in the mid '80s, when I watched Richard Petty's 200th career win at Daytona. I was mainly a fan of NASCAR, IMSA GTP, and CART/IndyCar, attending several races of each series. I decided that I was going to either be a race car driver or a meteorologist. Lacking the budget for racing, I went to North Carolina State University to major in meteorology. After earning Bachelor's and Master's degrees, I began working for the National Weather Service in 1999, starting in Raleigh, North Carolina. I've been at the Morristown, Tennessee forecast office since 2005. East Tennessee is a challenging place to forecast weather due to the varying terrain, but I love it. My favorite part of my job is analyzing radar and issuing severe thunderstorm and tornado warnings. Saving lives and having an impact is very rewarding. My wife and I have been blessed with eight children, whom we homeschool. My other interests include snow skiing, reading, and cheering for the NC State Wolfpack. I also contribute articles to NASportsCar.com, mainly about sportscar racing history. I began to combine my passions for racing and weather in 2014, and I was fortunate enough to find a fellow racing and weather nut in Scott to help me with starting Racecast Weather. We aim to provide accurate forecasts and timely weather updates for IndyCar, IMSA, Pirelli World Challenge, and Trans Am Series races, as well as SCCA and NASA national events. I hope you benefit from our forecasts as much as we enjoy making them. I currently live just north of Birmingham, Alabama. I am married to my beautiful wife, Amy, and have three awesome children. 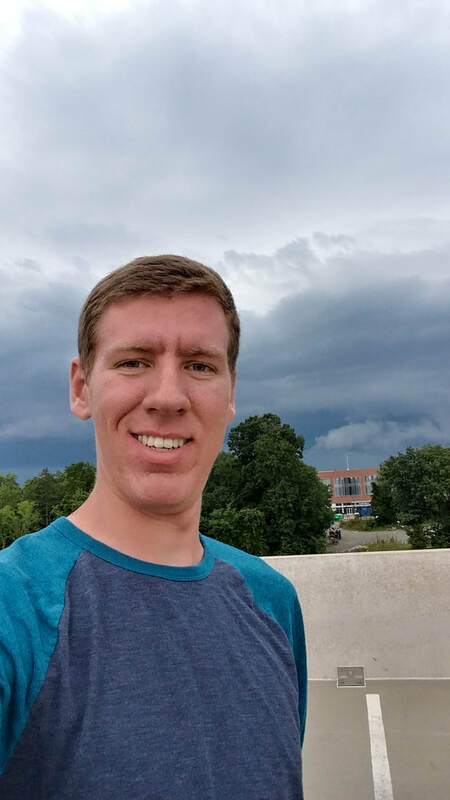 Currently I am finishing out the requirements to receive a Bachelor of Geosciences Degree in Operational Meteorology at Mississippi State through the Distance Learning Program. 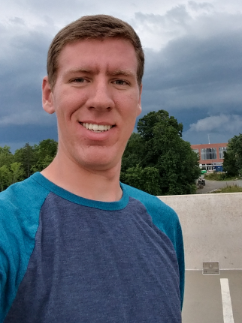 I have completed all of my meteorology courses (July 2015) and have received my certificate stating that I am a certified operational meteorologist. My goal is to one day be employed by a racing series as their official meteorologist. Weather has been a passion of mine from nearly the day that I took my first breath. Whenever a severe weather outbreak would happen in or near my town, I would watch the wall-to-wall coverage by the local TV meteorologists and listen to the local National Weather Service via a weather radio. Because of that, I have actually learned a lot of helpful weather knowledge that I have been able to use in college and in the real world. I have also had my share of close calls with the weather. The big EF-4 tornado that ripped a path from west of Tuscaloosa through Birmingham back in 2011, came very close to my neighborhood. Outside my door, I picked up at least a wheel barrel full of debris, including a notebook from a student from Tuscaloosa (over 50 miles away), and up to the Winter of 2014, a pair of pants that was deposited by the tornado hung from the pine tree in our front yard. Less than a mile from my house, there was devastation all around. Businesses and restaurants that my family frequently visited were ripped from their foundations and totally demolished. That day was a game changer for me, and helped start me on my path of meteorology. As far as racing is concerned, I have been an avid fan for nearly my whole life. In my younger years, my dad would let me skip school and would take me to Alabama International Motor Speedway (now referred to as Talladega Superspeedway) to watch qualifying for the Winston Cup Series. I was there in 1987 when Bill Elliott set the all-time record for qualifying at 212.809 MPH. Since then, my love for stock cars have dwindled over time since the death of my dad. I have really become a huge fan of the Indycar Series and the major sports car series, such as the Tudor United Sportscar Championship Series, the Pirelli World Challenge Series, and the Trans Am Series. We hope that you are able to use the information that we give to your advantage at the track. Our aim is to not only inform you of what the weather has in store for you at an event, but also to try to keep you informed if dangerous and life-threatening severe weather is approaching. Growing up in both North Carolina and Alabama, I've been exposed to motorsports my entire life. NASCAR was my first interest, as we lived within driving distance of some of the major tracks on the schedule. As the years went by and the drivers I had grown accustomed to watching left for one reason or another, I began turning my attention towards other forms of motorsport. I started watching Formula 1 and the likes of INDYCAR, the IMSA Weathertech Sportscar Championship, and Pirelli World Challenge were quick to follow. My interest in weather stemmed from a few severe weather incidents. In 2008, a few years after moving back to North Carolina, an EF-2 rated tornado tracked within a half-mile of our house, knocking over trees and ripping some siding and shingles off both ours and neighboring houses. In 2011, I happened to be in Raleigh, North Carolina the day a destructive EF-3 tornado moved directly through the city. From then on, I was always looking at the radar whenever storms were in the area, trying to predict where they were headed. I wanted to gain a further understanding of how the atmosphere worked and how they might have created some of the atmospheric events I had experienced. With this in mind, I pursued a degree in meteorology, attaining it in 2017 from the University of North Carolina at Charlotte. I am very appreciative and thankful that Doug and Scott have allowed me to help with the forecasting duties starting with the 2018 racing season.